Spring is officially here now. Aren't you excited for the sunny days and the sudden rain showers? I'm definitely ready for. I'm done with the snow and the bitter cold winds. I'm ready for lunches on the patio, going on nice walks, and relaxing on a bench with a good book. On a nice, sunny, Spring day I would want to wear something like the above. A cute, comfortable dress is a must. 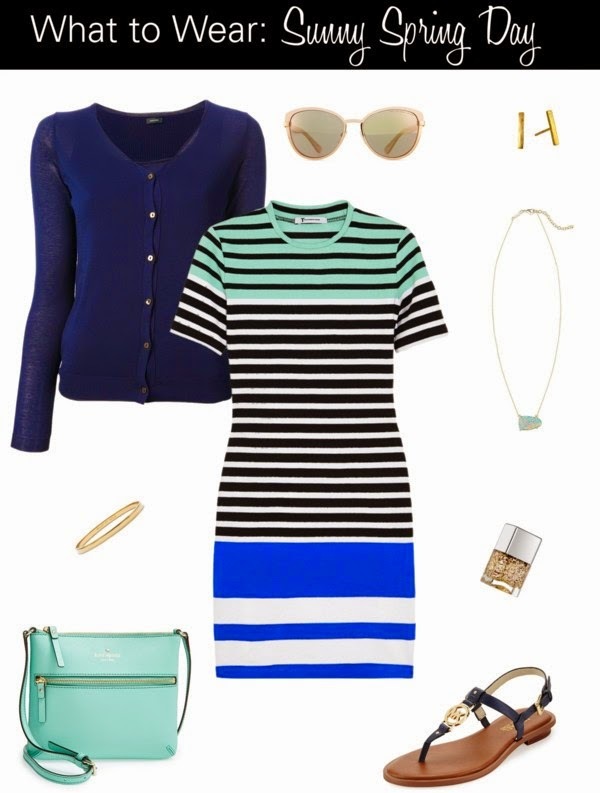 I'm loving the colors in this Alexander Wang striped dress. I love the colors and play off of them for the rest of the look. Add in sandals and a few accessories and you are ready for whatever the day brings. Right? What's your ideal sunny Spring day look? Lovely outfit for the week end! I love that mint purse - is there anything more perfect for spring that a dash of mint? I love these spring looks! The mint is so cute!